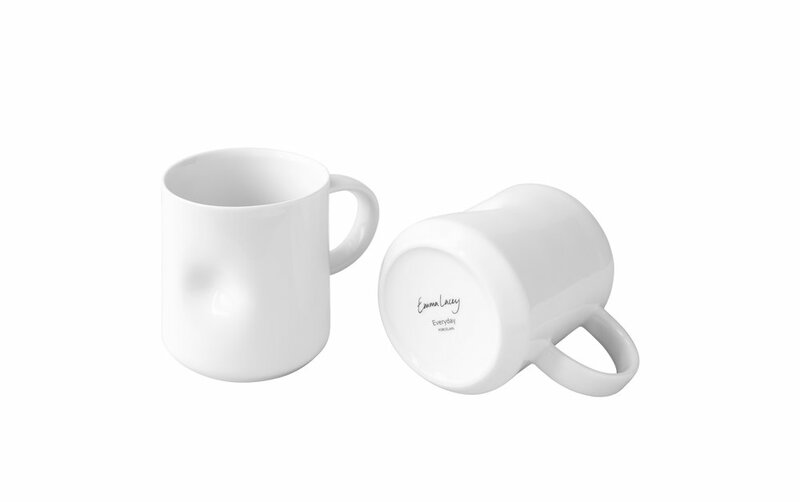 ‘Tacit’ is a new porcelain mug designed by Emma Lacey and launched exclusively with The Conran Shop for Spring Summer 2019. Its subtly dented form is delightfully comfortable and comforting to hold and serves as a reminder of the softness and tactility of clay. 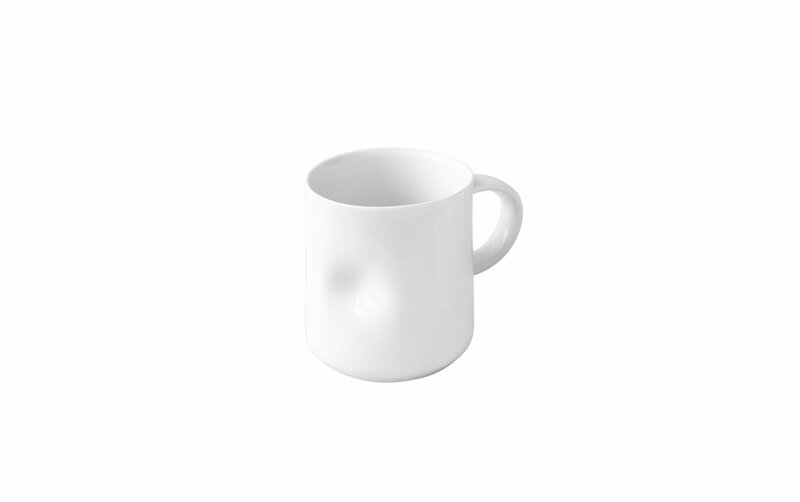 The ‘Tacit’ mug has been designed with reference to Emma’s hand-thrown ‘Everyday’ tableware range. The design features; the dent and the angled handle, offer the same functionality whilst paying homage to the aesthetic and functional qualities of industrial porcelain. This hotel standard porcelain is produced with expertise and slip-cast by hand before being fired to and astounding 1400 degrees. This means that the glaze fuses perfectly with the clay body and an extremely durable finish is achieved. When designing and modelling the shape, Emma has worked to combine technology with the hand, scanning elements of her thrown vessels and then modelling in CAD to develop a contemporary piece which celebrates the idiosyncrasies of ceramic materials and the handmade as well as providing a sensual tactile experience when the object is used.